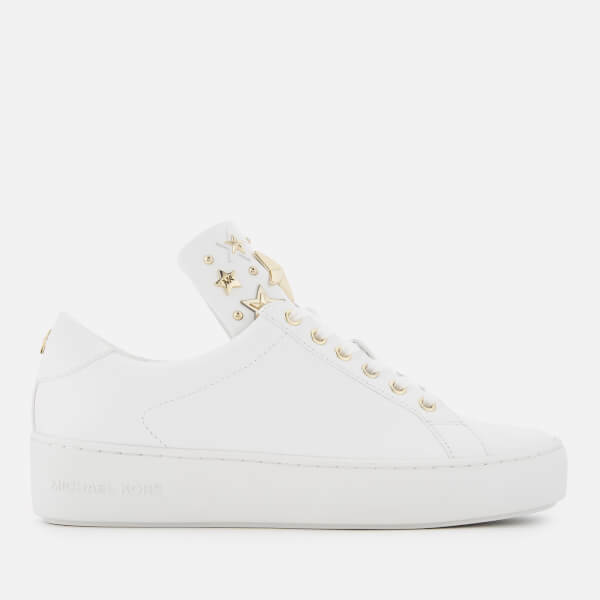 Smooth white leather low top trainers from MICHAEL MICHAEL KORS. 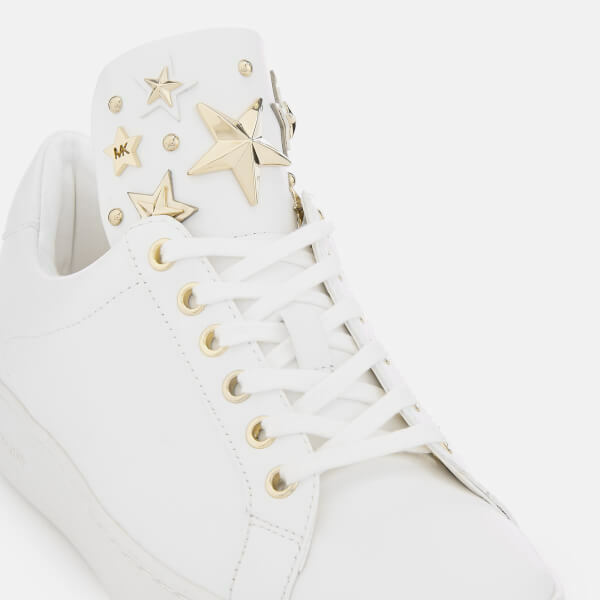 The ‘Mindy’ sneakers are designed with gold-tone ‘MK’ star studs on the high tongue and heel. 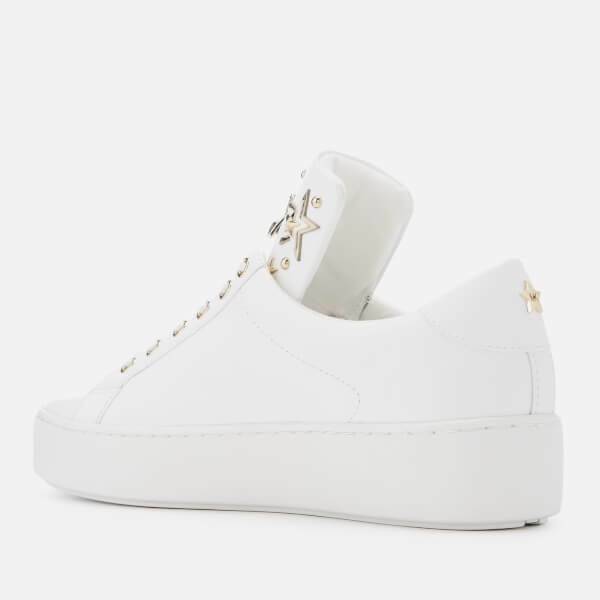 A chunky white rubber sole lends a luxe sportswear feel to the round toe trainers. 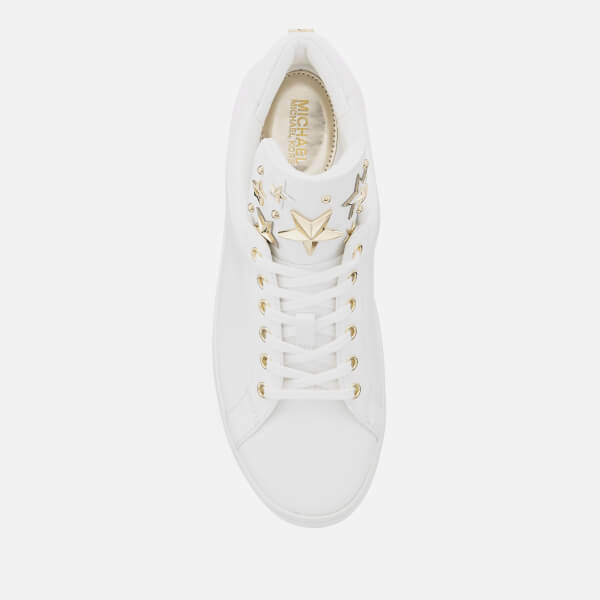 Finished with contrast ‘MK’ monogram detail on the heel, gold-tone eyelets and embossed branding on the sole.